Online shopping is becoming more and more popular. Sites like Etsy, eBay, and Amazon enable a shopper to find nearly anything with a few mouse clicks and get it delivered hassle-free to their doorstep. Grocery stores are slowly starting to offer delivery services. Take out is expanding to dine-in restaurants with businesses such as Grubhub. It would only make sense for a new entrepreneur to start their business online. But where would they begin? Luckily there are plenty of online business ideas beginners can pursue. From crafters to programmers, there’s a niche for everyone and a demand to match. For those who have absolutely no idea how to begin or where, there are even online classes that are available that can teach the fundamentals of owning an online business. While it might be hard work, the results are rewarding, and the outreach is incredible. If the beginner builds a solid foundation and is willing to keep putting in the effort, the business they start will succeed. It is all up to them! When starting the search for online business ideas, beginners can struggle with deciding on what exactly they would like to accomplish. Is their business going to be something creative? Are they selling something? What will they sell? To whom? How much customer interaction will be necessary for the business to be successful? How much financial planning and bookkeeping will they have to keep track of? These are not even all the questions a beginner would ask, and already the idea of having an online business seems too overwhelming. However, if one thing is tackled at a time, beginning an online business is not as daunting as it seems. The first step: finding a niche. There can be no business until the prospective entrepreneur decides what they’ll be providing. Once this crucial first step is figured out, a plan can be made. If the beginner is still struggling with this first step, there is an option that can help them: online classes. There are many amazing programs available, two being schools.shmoop.com and edx.org. On Shmoop, they can explore career options and take a college planning class which can easily be translated over to a budding business. These basic building blocks can provide some insight on what the beginner entrepreneur might want to sell or do with their online business. On Edx.com there are leadership courses that can help shape the beginner into a successful and confident business owner. There are also business fundamental classes that can assist with getting started. In the next step for setting up success for online business ideas, beginners will have to learn how to sort out finances. There are several different areas to consider with this step; each must be thoroughly thought out or there can be severe problems later. Finances are not an area to cut corners. The beginner entrepreneur must consider start-up costs, maintenance, taxes, shipping (if items are being sold), profit margins, and potential losses as a start. Price setting based on market is another thing that will have to be considered. Time being spent on creating an inventory to sell (assuming that is the type of business) must also be fairly compensated. If there will be new hires, wages and tax withdraws for said wages must be calculated. If any of these things end up being off, this can cause many problems down the road, so strict bookkeeping and financial knowledge is a must. Classes are highly recommended for this stepping stone in building a business. One can never be too careful when it comes to finances. Shmoop offers a handful of excellent beginner courses to introduce a novice to the world of finances, both personal and professional. It is a great place to start to get a basic knowledge before moving into more in-depth classes such as the ones offered on Edx.com. Some examples of the in-depth classes offered are: Financial Analysis for Decision Making, Accounting and Finance, Corporate Finance, and An Introduction to Credit Risk Management. There are several more classes available as well if the beginner is still unsure. No number of classes is too many. Now that the basics and finances are figured out, the beginner entrepreneur can begin thinking about customer interaction. With any business, there will be some amount of interaction with the customer base in order to sell whatever service or product was decided on in the first step. Shmoop offers a couple of classes that can aid in business communication in general, but Edx.com has classes a little more specific. Customer Relationship Management, People Management, and Customer Centric Innovation are the best classes to start with. Not only will clear communication skills be improved, but de-escalation procedures and earning customer loyalty will also be taught. The beginner will also learn how to use customer feedback to improve their business. Advertisement and marketing are crucial to gaining visibility. If no one knows about the business, how will the business acquire customers? The beginner entrepreneur will have to work hard to get this business noticed, especially since customers are prone to sticking with what they already know. While small little pop-ups on social media sites might work, it is better to learn a more efficient way to advertise. 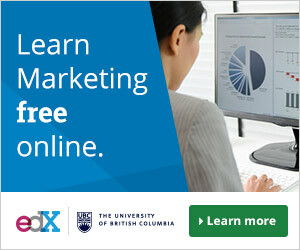 Edx.com offers classes specific to this area, one being Marketing Management. This class offers a well-rounded introduction to every aspect of marketing from pricing to promotion. It would help the beginner properly implement advertising to get the best visibility and customer reach possible. Another class that is based on customer-focused marketing is Customer-Centric Marketing for Entrepreneurs. This class will specifically teach the beginner how to advertise using the customer base, create excitement around their business brand, and measure success based on the marketing strategy being used. The final step of marketing is consumer data. This had been touched on a bit while learning about customer relations and interactions, but this specific step occurs more when the business begins selling. Without considering consumer data, the beginner will not know in which direction to grow or what to improve. There will also be no way to keep track of what is being sold and how to stock inventory. There are many statistics that go into consumer data, so it could be overwhelming to a beginner. That is why taking a basic statistics class would be beneficial! Edx.com offers a Statistics 1 class to get the beginner entrepreneur started. From there, they can choose from several analytics classes, three being: Business Analytics Fundamentals, Analytics for Decision Making, and Demand and Supply Analytics. All three teach the beginner how to collect and analyze data from their sales to maximize production and meet consumer demands. Now that the building blocks of having a solid online business have been set, it is time for the beginner entrepreneur to manage it and keep it going. An amazing tool for this is social media. New products and sales can be advertised on a company Facebook page. Direct feedback can be found, responded to, and acted upon. Posts can be shared and spread in a matter of clicks. If the business becomes large enough, calls for applications can be announced. The possibilities are endless. However, the drawback of using a tool such as social media is the dedication to keeping up with the page. If the beginner is determined to succeed, though, this tool is invaluable. Keeping track of sales is another important step in keeping the business running. Like the beginner learned in the marketing and data classes, keeping track of sales is crucial to keeping customers happy, the inventory full, and managing finances. With a little searching, the beginner can find many tools and apps that can help with this. Like everything else, there are classes on this as well if they are not yet comfortable with the process. As time goes on, it will just be another daily task instead of a daunting project. Seeing sales rise is also a great motivator. It is nice to be able to see the reward for the hard work that had been put in. While all these steps and tools are important for running an online business, there is one tool that is typically forgotten about or taken for granted: a strong support system. Getting an online business started is hard. It will be slow. There will be failures. Without a support system, the beginner can easily become discouraged and give up before even getting started. Whether it’s one or two friends, an online group, a class, or even family, having some sort of support system that will continuously provide encouragement and push the beginner to succeed and keep trying is possibly the most important tool of them all.